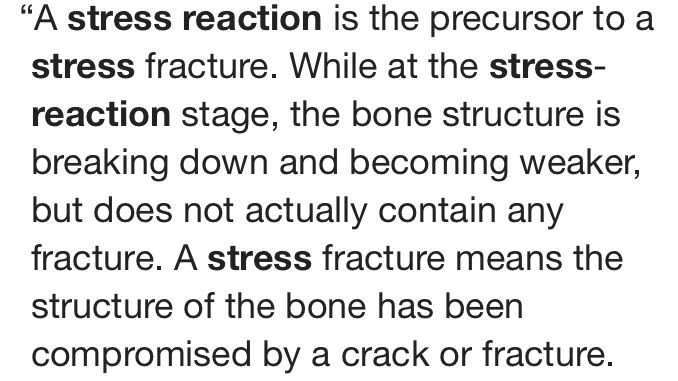 I ended up going to see my orthopedic surgeon and he did a quick check of my leg/ankle and told me I definitely have a "stress reaction" but I needed an x-ray to rule out a stress fracture. Fortunately the x-ray was negative (i.e. no fracture seen) but I still had a left medial tibia stress reaction. Typically stress fractures require a minimum of 4-6 weeks off of running/other impact activities. The recovery time for stress reactions is much less (thankfully) and so I was told to take 2-3 weeks off. Fortunately while I'm off running I got the clearance to continue my marathon training on the elliptical and rowing machine, or with cycling, swimming and/or pool running. The variety is key since in isolation none of those activities provide the same amount of thrill as running does. I'm trying to stay focused on the fact that I can still train, because in the grand scheme of things this is a setback but not a road block. The plan to run both Berlin and Chicago was a tough feat to begin with. One which required an ideal training cycle without injuries. 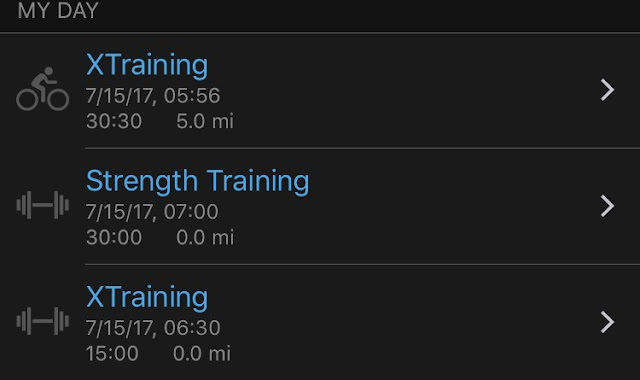 Even before my injury my training wasn't going according to plan, so there's no way I'm going to be ready for two back-to-back marathons. As much as I love Chicago and the marathon (it was my first after all) I've never done Berlin before, and the Berlin trip is already paid for (and 100% non-refundable). I'm going to lose the money I paid for the Chicago Marathon registration but I can cancel the hotel and I didn't book my airline tickets so deferring Chicago was the most logical decision. I'm still bummed about it but... it could be worse right? Have you ever had to defer a major race? 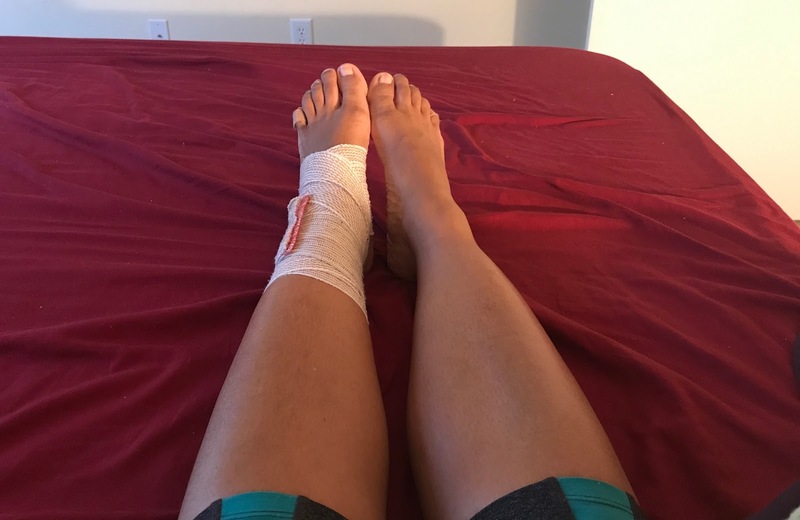 So I'm spending my days icing my ankle and trying to figure out how to modify my training so that I can still prepare for my Fall marathons. Unfortunately I don't have a lot of wiggle room in my training plan because I've had to make a few changes to accommodate family related travel. 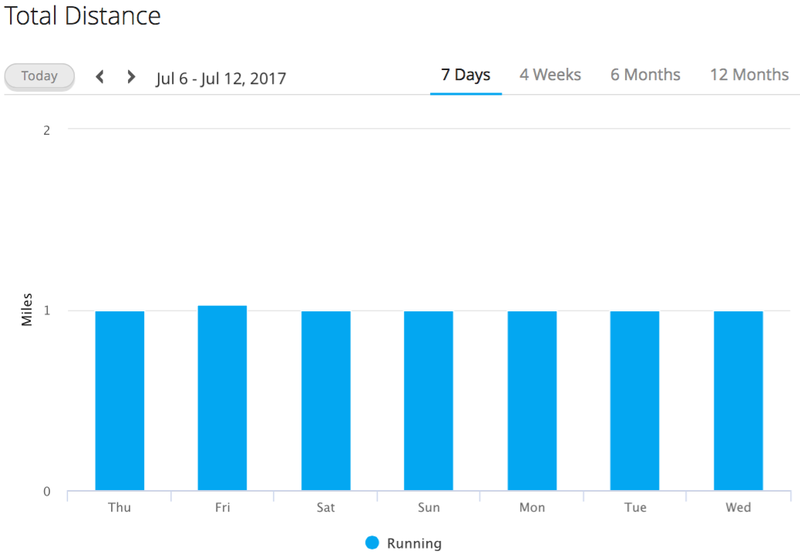 So I may be forced to break up my runs and/or cross train more so that I don't suffer too much of a long term negative impact from the reduction in miles. The goal is (and will always be) getting through both marathons safely. So sadly that may mean the end of my running streak so that I can avoid the high impact stuff and focus on strength training and endurance training through other activities. I'm a little bummed when I think about the possibility of having to stop the streak (as you can imagine) but I'm trying to think of the big picture. It's been more than half the year and therefore my longest running streak ever. But at the end of the day, the marathons are more important, and I can always try and do the streak again some other time. I'll keep everyone posted. In the meantime please send happy healing thoughts for my ankle to feel better soon 😊. How long is/was your longest running streak? 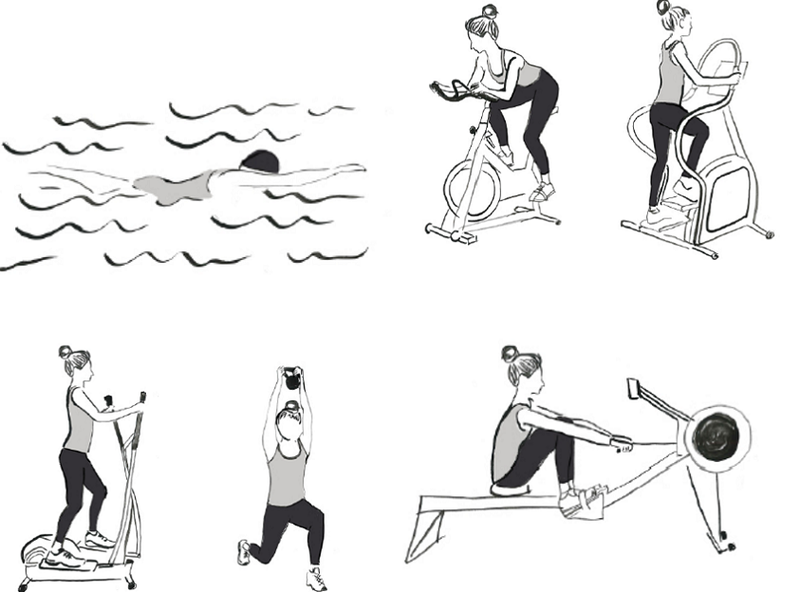 What's your favorite cross training activity when you can't run?